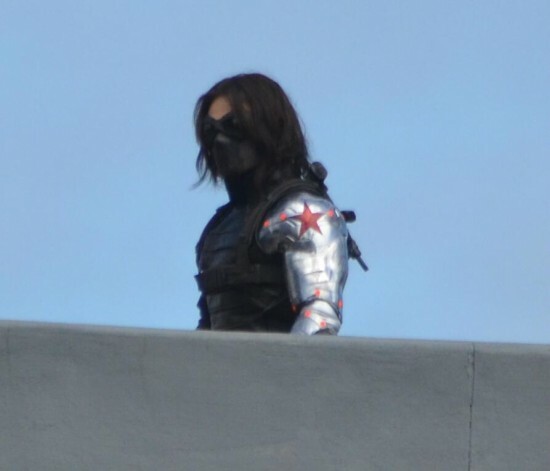 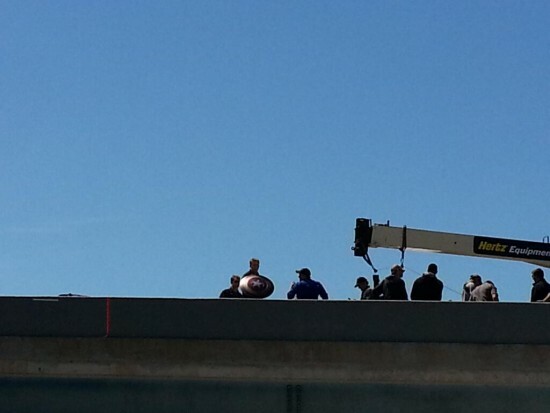 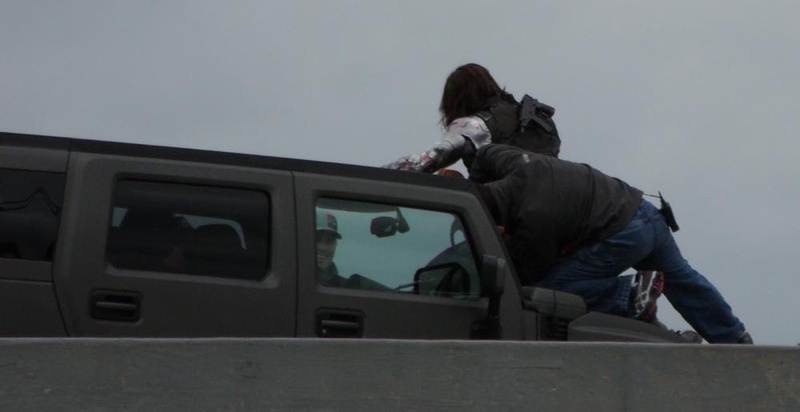 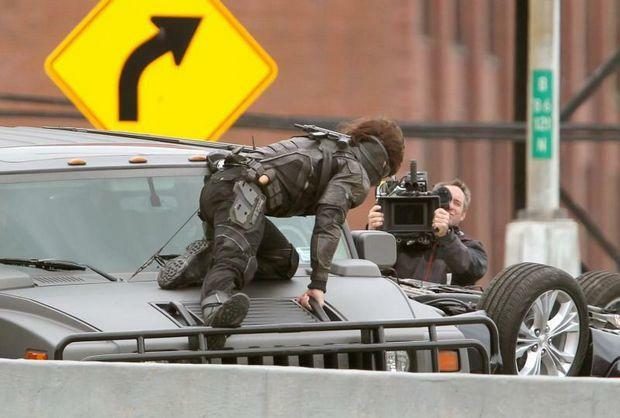 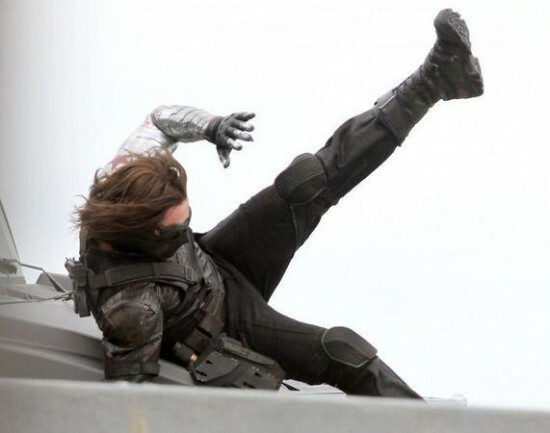 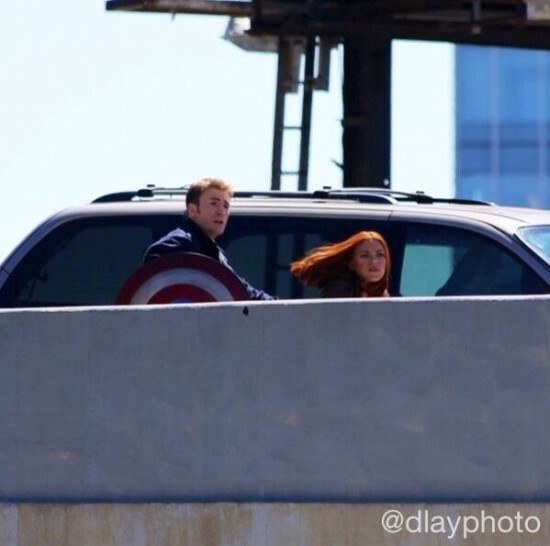 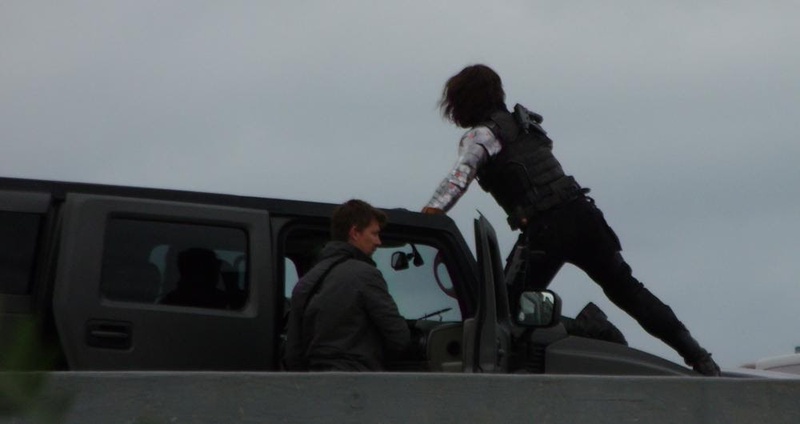 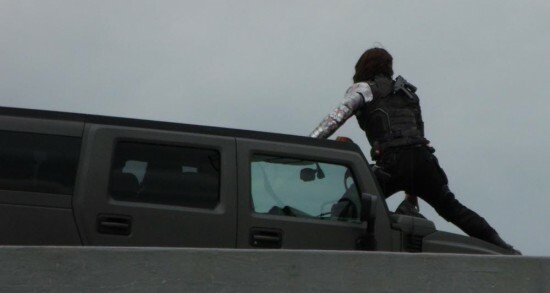 While Captain America will have to wait until next year to make his return to the big screen, we have some set photos today from Captain America: The Winter Soldier. 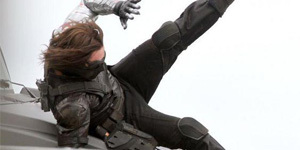 The images show Cap and Black Widow, but they’re mostly focused on Cap’s nemesis and best friend, Bucky Barnes (Sebastian Stan). You can Barnes’ new bionic arm in a number of the pictures. 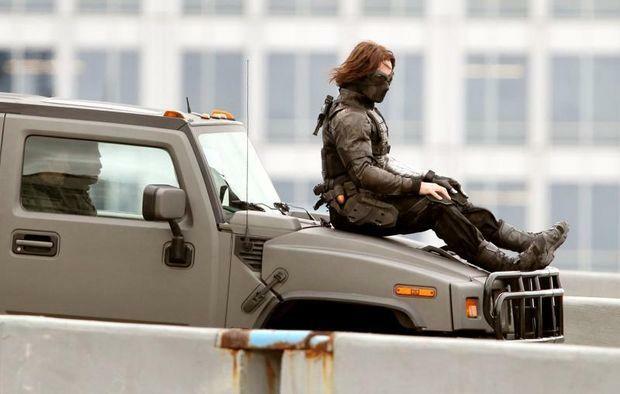 It’ll be great to see him in action on screen, and maybe we’ll get an explanation as to why he chose to grow his hair out…maybe.